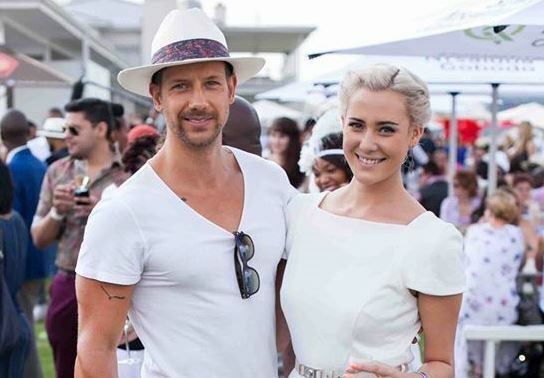 Rumour has it actress Jay Anstey and presenter Jonathan Boynton-Lee are dating. They might be SA's hottest couple since Lee-Ann Liebenberg and Nicky van der Walt! According to The Juice, the famous duo looked "VERY loved-up" at Hospice Night with the Stars Charity Show at Melrose Arch on Saturday night. The pair were also seen out and about at the Celebration of Bubbles Festival in Sandton last weekend. Post by Celebration of Bubbles Festival. Friends of the former Isidingo actress and the Top Billing presenter told the site the lovebirds are “SO in love. They’ve been trying to keep everything under the radar, but it’s so difficult for them not to show their love,” one source says. Apparently, Jon and Jay, who broke up with beatboxing star George Avakian late last year, couldn't be happier - and neither could we! Its particularly great to see Jay's megawatt smile again - the blonde beauty has been through a rough time of late. Read more about that here.